Today I am going to do website review of an online store The Herb Boutique . 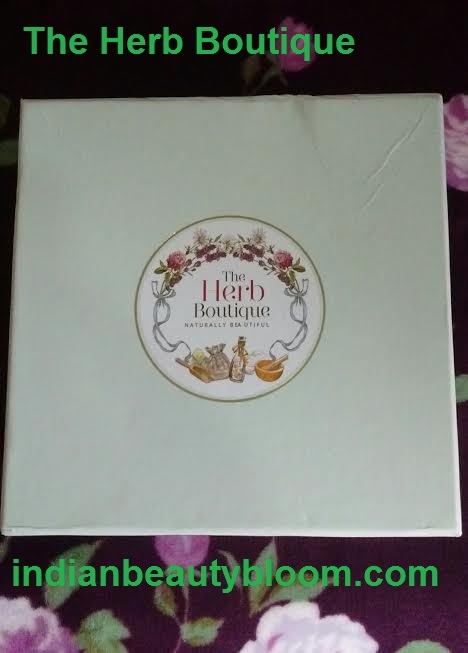 Its a brand that offers herbal and organic products . 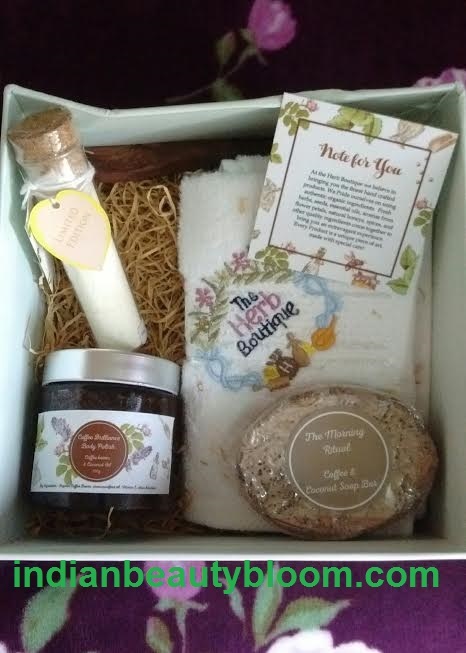 Their products are hand crafted and they use all natural ingredients like natural honey , flower petals , essential oils , herbs , seeds to prepare their products . 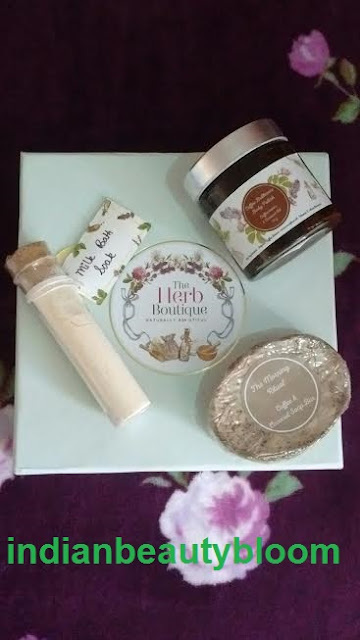 When I got an opportunity to try and review their products I instantly said YES as I love natural and herbal products . I really loved its packaging and products , all so good . 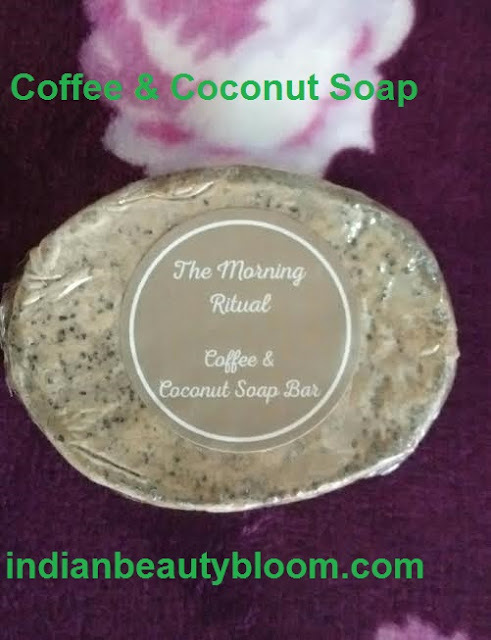 The morning Ritual Coffee Coconut soap bar is made from Coconut oil and Coffee and its priced Rs 325. 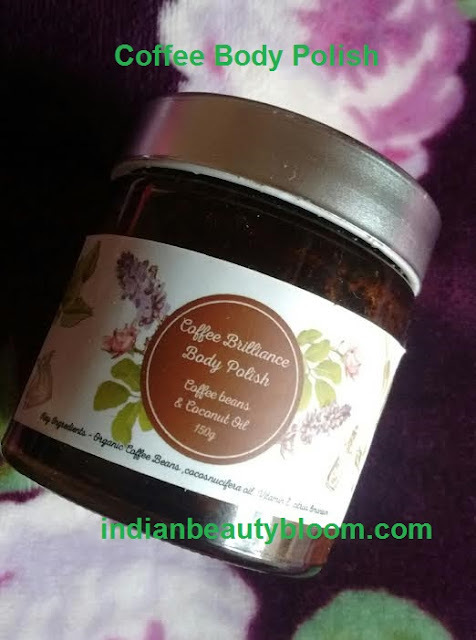 The Coffee Brilliance body polish is a blend of organic coffee, Vitamin E and coconut oil . Its made from 100% organic ingredients and gives the skin flawless radiance . This is a Limited Edition pack . Will come up with a detailed review of each products after using them . 1.They use natural and organic ingredients . 2. They offer Vegan products, their products are not tested on animals . 3.Their products are Hand Crafted , every product is a unique piece of art , crafted with love and care . 4. They offer high quality products . 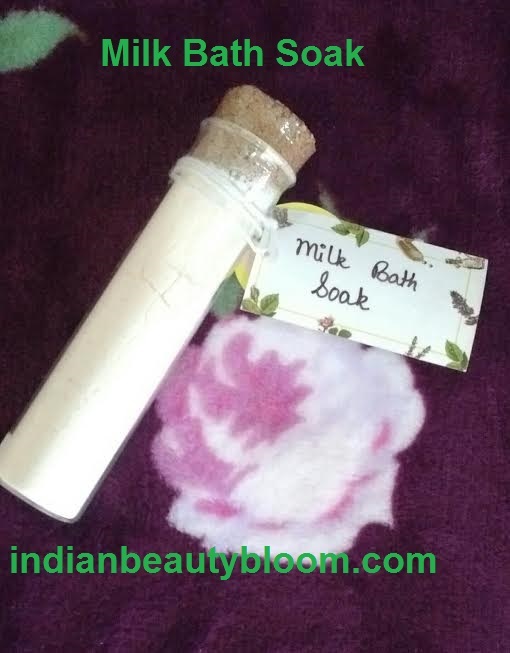 5.They have some Luxury Skin Care products like Rejuvenating Bath Soaks , Luxury Body Polishers , Exotic Honey etc .